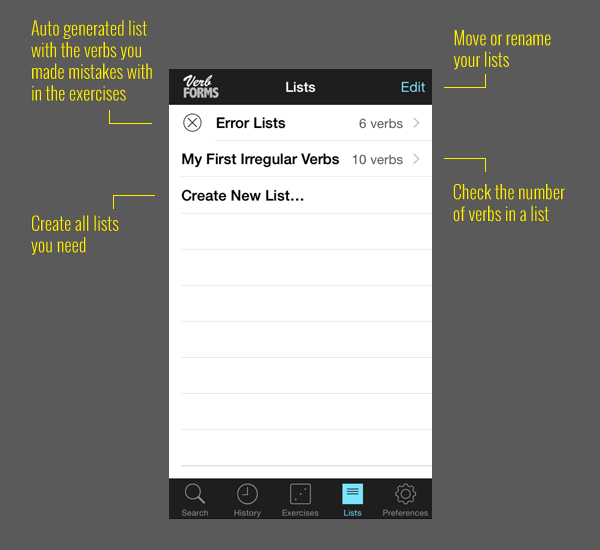 • Create and save custom lists with your verbs. • Generate random lists. These lists are configurable by the number of verbs included, frequency of use, and the types of irregularities they contain. • Move and rename your list. 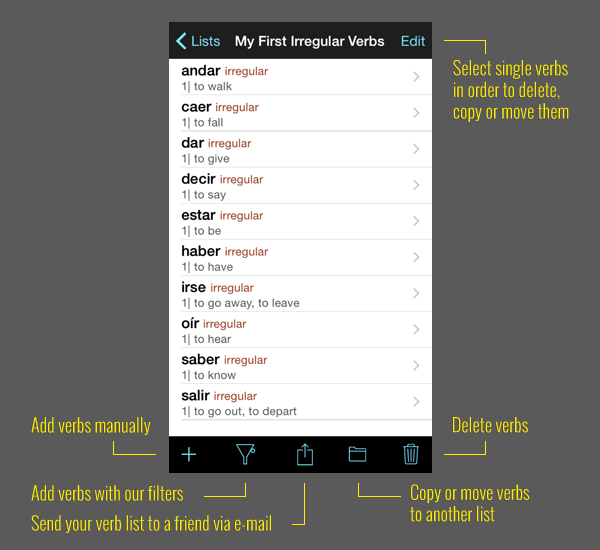 • Copy or move the verbs from one list to another. • An error list is generated automatically, which records those verbs that have been employed incorrectly during exercises. Verbs are programmed to disappear from the error list upon correct usage. • Share your lists with friends via email. • Full access via the lists to all information related to the verbs.